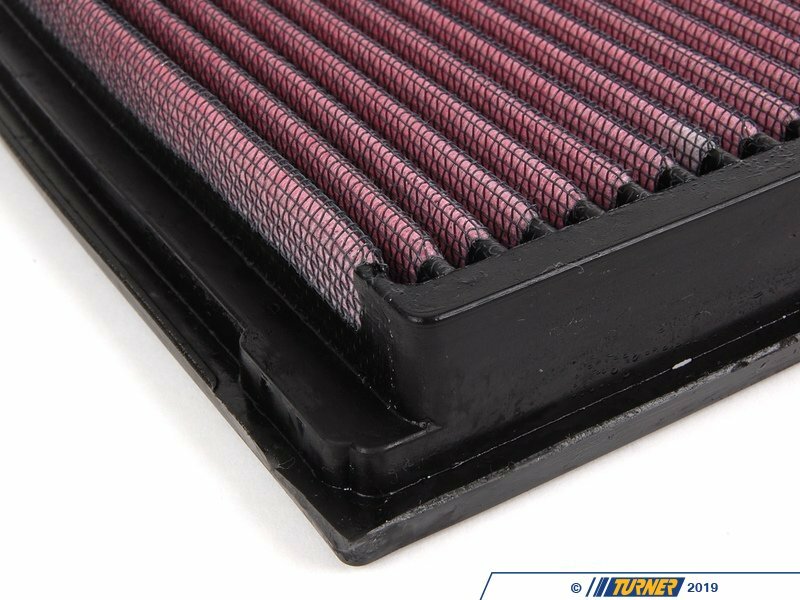 K&N's drop-in air intake filter is constructed from cotton gauze material between aluminum mesh - this makes for a long lasting, high performance drop-in intake filter. 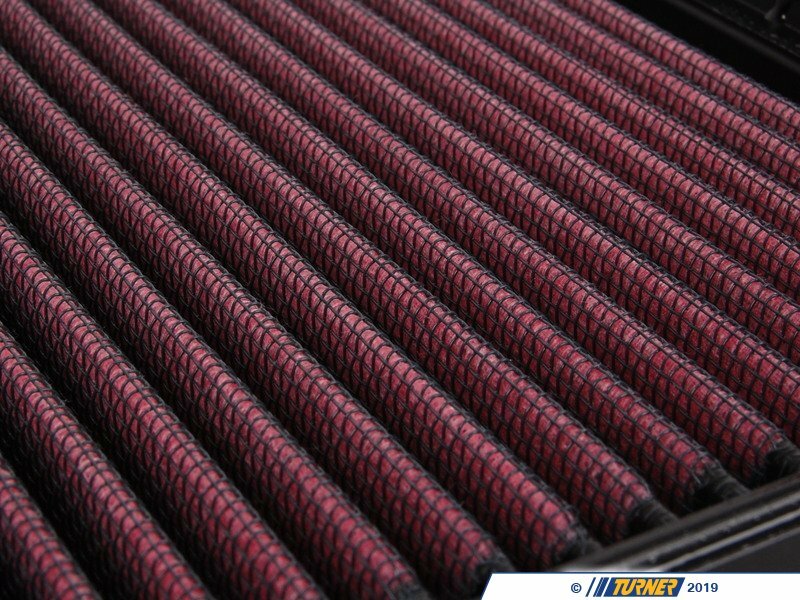 These are very easy to remove and maintain. 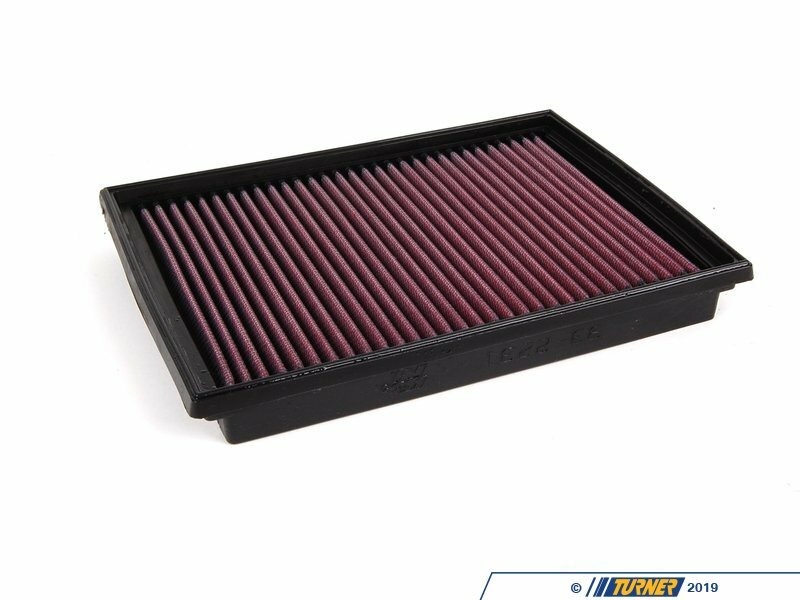 Turner Motorsport recommends this as one of the first maintenance/modifications you make to your vehicle after you purchase! 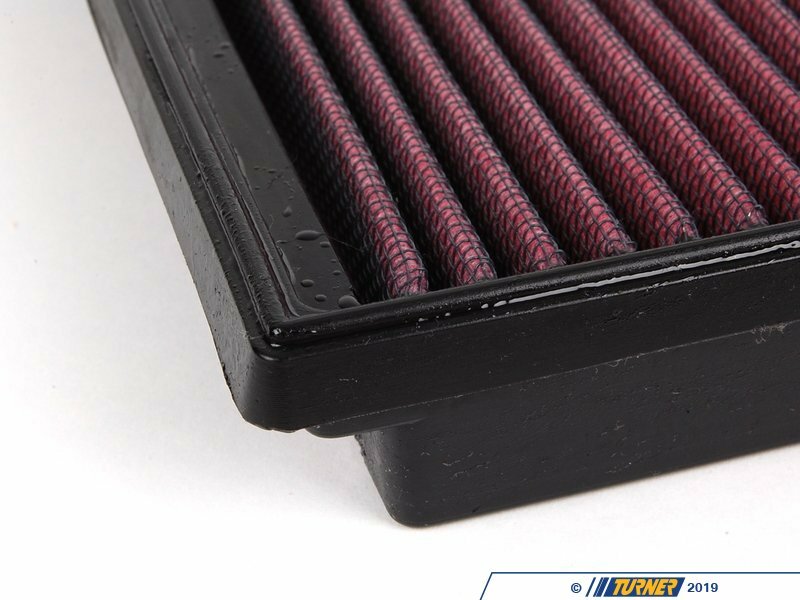 K&N's drop in air filters allow increased airflow - dirt and particles stick to the oil on these filters, making them more effective than traditional paper filters in terms of protection. 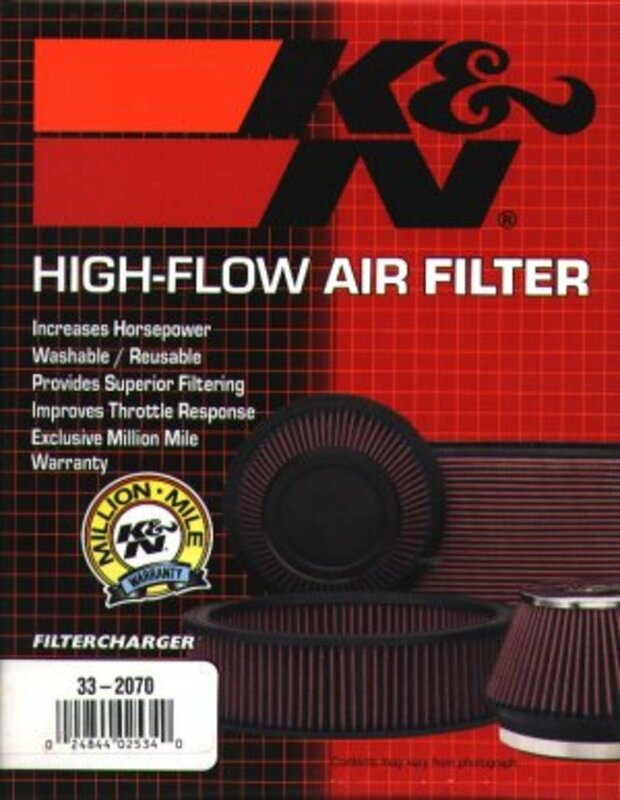 Additionally, K&N believes their filters are more efficient than paper filers - this means more oxygen getting into the engine, allowing vaporized fuel to burn more efficiently and increasing horsepower and fuel economy. The best of both worlds!